With over 90% marketers suffering a shortage of relevant digital skills and only 8% companies feeling strong in the digital arena, it is no wonder that digital marketing is such a happening career at the moment. As demand outstrips supply, the need for trained digital marketing professionals is on the rise and with this the need for the right digital marketing course. As Mumbai is the financial and cultural capital of India, it makes sense that a large majority of agencies are located here, which makes it the ideal place to start your digital marketing journey. However, with digital media marketing courses abounding on nearly every street corner, how can you understand which is the best one for your needs? Let’s look at some of the factors that one needs to look at. The curriculum: The best curriculum like that of DMTI’s are developed and taught by industry specialists so that students become industry ready. The curriculum should be relevant, current and comprehensive so that the learners gets a thorough understanding of the subject and can hit the ground running on being placed. The faculty: Digital marketing’s rapidly evolving nature means that the learning should be relevant and current. The faculty should consist of subject matter experts, industry veterans and leading marketers so that one gets a good look at the current innovations, industry best practices and other vital insights. Projects and internships: Does the institute offer students a hands-on learning opportunity? Do they assign capstone projects and internships? How is the learning balanced? These are just some of the questions you need to ask yourself while deciding on digital media marketing courses.. Placements: For those looking to create a digital marketing career, it is extremely necessary to thoroughly investigate the placement system of the institute. An institute without the right industry connections will waste your learning and efforts without a job offer in hand when you graduate. Ensure that the institute you sign-up with has good ties to the digital marketing industry and can thus offer guaranteed placements. 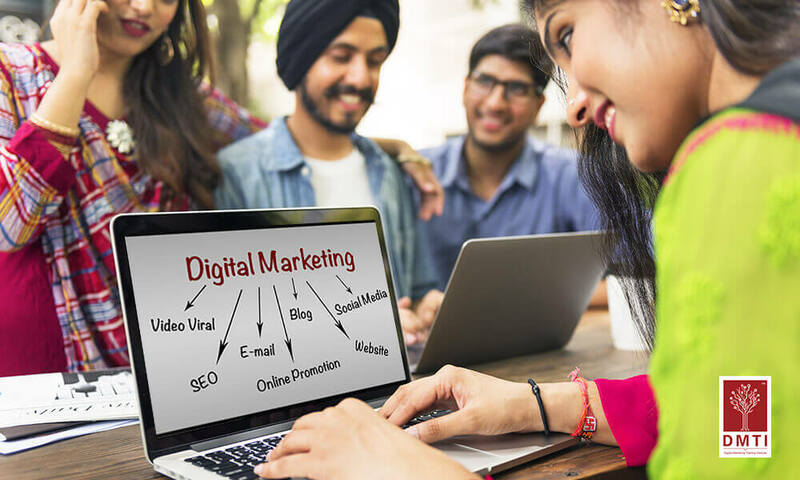 Keeping these factors in mind, one can come to the conclusion that the Digital Marketing Institute or DMTI offers one of the best digital media marketing courses in Mumbai. The institute was set up by industry veterans with most of the faculty coming from digital marketing backgrounds. Thus their curriculum ensures that all learning is relevant and up-to-date. They offer students hands-on learning opportunities with projects and internships and their strong industry connect ensures that student effort is not wasted and that they get they right placements to help them get ahead. Also, unlike other courses which do not allow for flexible learning, DMTI’s wide range of programs offer learners the opportunity to learn at their own speed. Top 10 Social Media Monitoring Tools! Popular Social Media Apps and it’s importance in today’s Era! Why Is It Important For Digital Marketing Freshers To Have A Digital Presence?